Let’s Duty Free Shop at Toronto Pearson International Airport! Do you know how you get to Pearson early just so you can speed past security, just so you can sit at your flight’s gate at Pearson International Airport using their free Wi-Fi for hours? Deep breath. Well, I have another reason for you for you to get to Pearson early. Think wicked duty free shopping on the Canadian Dollar! Yup, there are deals to be had before you even before leave Canadian soil. To most Canadians, the words “duty-free” and “shopping” have traditionally been associated with common purchases, such as alcohol, chocolates and souvenirs. 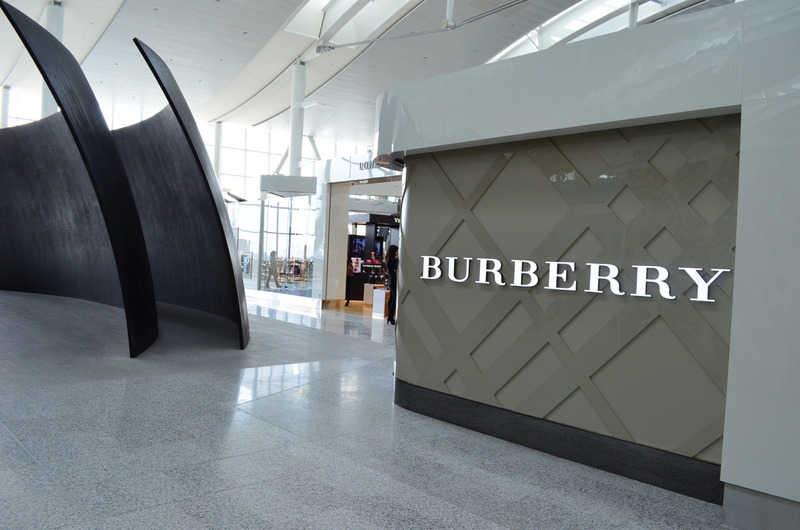 But did you know that throughout 2014, Toronto Pearson passengers shopped for three Burberry scarves per hour when the Burberry store was open? With the busy March Break travel period upon us and Toronto Fashion Week just around the corner, Canada’s largest airport, Toronto Pearson, wants you to re-think what you know (or think you know) about duty-free shopping. Men (51 per cent) are more likely than women (43 per cent) to buy gifts at Duty Free stores. Alcohol is still the most commonly associated product with duty-free shopping (84 per cent of respondents), followed by tobacco (47 per cent) and beauty products (36 per cent). FUN FACT: In 2014, Toronto Pearson passengers bought approximately 1,000 bottles of ice wine per day! Treat yourself – Nearly 70 per cent of duty free shoppers see it as a great place to purchase a little something special for themselves. If you have ever Duty Free shopped at overseas airports you have been easily introduced to the best of luxury labels. In Toronto, we now have the same experience without the currency exchange hit. Terminal 1 International Duty Free spans over 20,000 square feet and features a wider selection of top fashion and beauty brands, including Bvlgari, Burberry, Coach, Ferragamo, Gucci, Longchamp, Longines, Michael Kors, Montblanc, Omega, Rado, Swarovski, Tissot, Tumi and Victoria’s Secret. This entry was posted in Uncategorized and tagged Burberry, Bvlgari, Coach, duty free at Toronto Pearson International Airport, duty free shop, Ferragamo, Gucci, Let's Duty Free Shop at Toronto Pearson International Airport!, Longchamp, Longines, Michael Kors, Montblanc, Omega, Rado, Swarovski, Tissot, travel, Tumi and Victoria’s Secret on March 16, 2015 by thirtyfourflavours.